Whether you’re embarking a two-hour walk or a multi-day expedition, it’s important to be properly equipped. 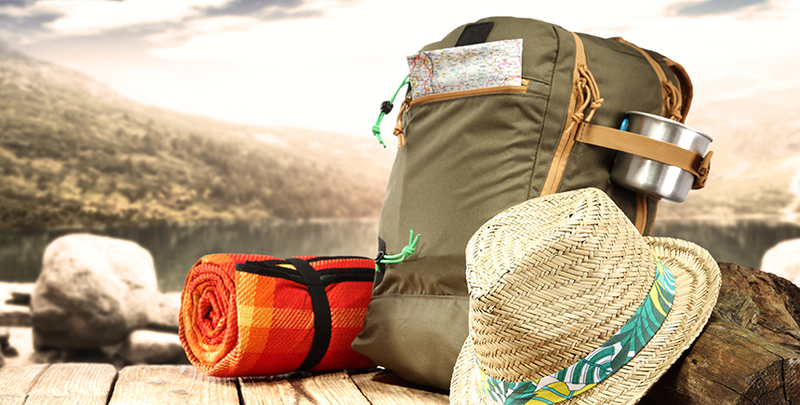 These key items will help make your next outdoor adventure a lot smoother and more enjoyable. These lightweight towels are great for wiping away all that sweat (or if you decide to go for a dip in some random waterfall you come across). They’re thin, compact, and highly absorbent; best of all, they dry quickly. Plus, they don’t smell or get moldy. You never know when the weather will change. Invest in a good-fitting, light, breathable waterproof jacket to fight the cold and keep you dry. And always, always opt for a hooded one. Hydration is super-important, but nobody really wants to tote around bulky bottles. Save space by getting one (or two) of those soft bottles that can be folded once empty. A bonus item that you might want to consider packing is a water treatment gadget. These nifty things purify water using UV light, and are available in compact forms. Don’t ever assume that accidents won’t happen on your hiking trip. A first aid kit, even a basic one, will come in handy should any mishaps occur. Some things to include: solutions like antibacterial cream and zinc oxide (to prevent chafing), pills like charcoal, aspirin, Ibuprofen (for pain and swelling) and Benadryl (for allergies), plasters and bandages. There’s no doubt that you’ll get hungry from all that walking. Pack energy bars and granola bars, or keep it simple by bringing a Ziploc bag filled with trail mix. As a rule of thumb, choose energy-dense foods, and avoid anything too sweet or salty. Headaches are no fun, especially on a hiking trip, so minimize the harmful effects of excessive sun exposure with a hat or cap. Don’t forget to apply a good broad-spectrum sunscreen every couple of hours, too. Choose a waterproof one, as you’ll probably be sweating buckets on your hike. Keep pesky insects like mosquitoes and sandflies at bay with a bottle of insect repellent. You don’t want to be scratching furiously away throughout your hike! You know you can’t rely on cellular data or WiFi when you’re out there in the wild. Go the old-school route and pick up a good map of the area — one that marks out trails in addition to roads. Remember: you’re hiking, not driving. This one’s for the ladies: trust us when we say that you’re better off packing one of these flexible cups, instead of stocking up on tampons and pads (which take up a large amount of space, especially if you’re going on a multi-day hike). Menstrual cups are reusable, are able to hold a lot more liquid and can be used for up to 12 hours at a go.